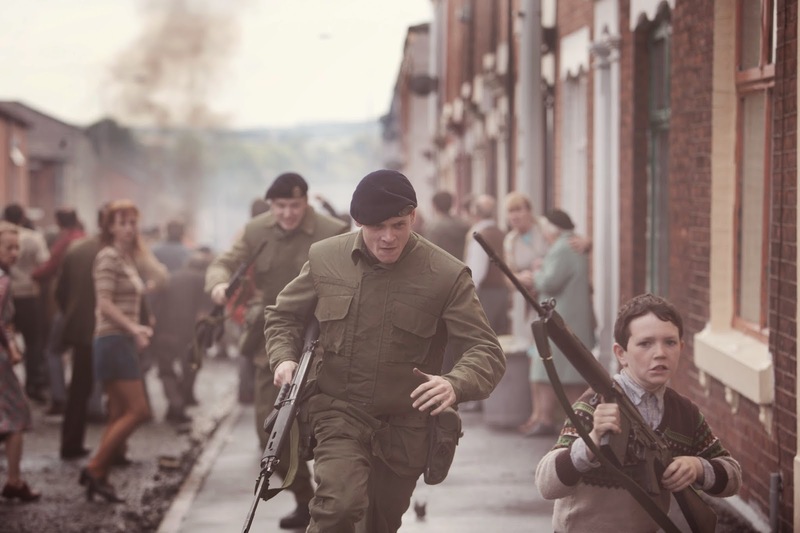 Yann Demange's gritty, intense, violent '71 is an impressive debut feature about a young British soldier (Jack O'Connell - he is going to be the next big A-list star, watch) who is accidentally abandoned by his unit while trying to control a riot in Belfast during The Troubles. From the minute '71 opens, it's a mad rush to the finish. '71 is reminiscent of a Kathryn Bigelow war film, The Hurt Locker in particular. There's no pretense in Demange's direction. He directs with muscle and a sense of urgency, which makes this 43-year-old story feel new and relevant. Tat Radcliffe's simultaneously harsh and beautiful cinematography adds to the sense of urgency. A pulse-pounding chase sequence early in the film is a perfect showcase for his talents. Jack O'Connell is quickly proving himself to be one of the most exciting and powerful young actors working today. After his gut-wrenching, frightening performance in David Mackenzie's Starred Up and his casting as the lead in Angelina Jolie's Unbroken, I knew that O'Connell would be the next big star. He it both magnetic and humane, making him as watchable as they come. Geoffrey Burke's intelligent screenplay does an admirable job at mixing action and drama. While '71 is a thrilling action film through and through, it never sensationalizes the violence and shows its repercussions. '71 shows the human cost of the clashes in Ireland and never downplays them. Overall, '71 is an excellent film, one that I would happily return to when Roadside Attractions releases in theaters. I predict '71 becomes a significant film a few years in the future for introducing audiences to Yann Demange. He's already lightyears ahead of other first-time directors, and I cannot wait to see what he creates in the future.